1888 – Suffrage campaigner Annie Besant published an article entitled “White Slavery in London,” detailing the appalling conditions women were subjected to in the Bryant & May matchbox factory in Bow, East London. There was little regard for the women’s health. They had to work with phosphorus which gave them ‘phossy jaw” (their jaw was eaten away). They were also paid shocking poorly despite the huge profits the firm were making. Bryant & May were determined to find the culprits who had leaked the information to Annie. When they found the 3 women responsible, they were sacked. 200 women walked out in protest. 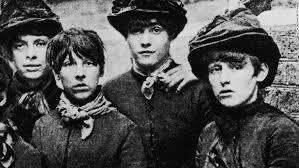 With the help of Annie the women organised themselves and 1500 women at the factory went on strike. This was very brave – the women had to live without any wages, and could end up unemployed without a reference. The ‘match girls’ strike became a cause celebre with the national press covering it and questions being asked in parliament. 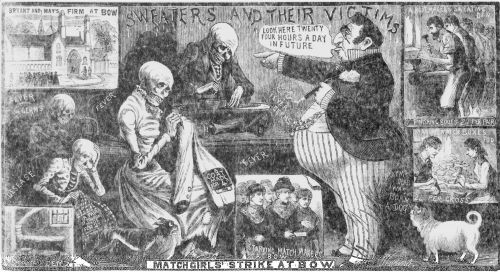 The factory became a national disgrace and Bryant & May were forced to conceded better conditions for their workers. 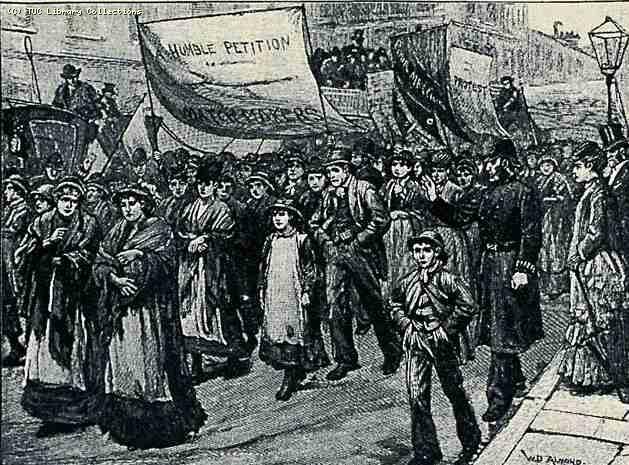 It was the first ever victory of a women’s strike.Women could beat the establishment. They could win against all odds. It was time to win the vote.